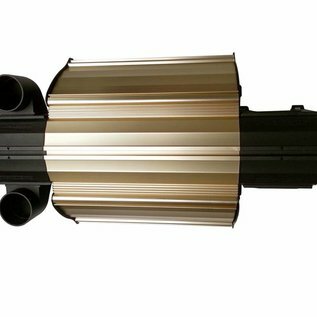 DimLux Alpha Optics 98 reflector. The DimLux Alpha Optics 98 reflector is designed according to the Single Bounce Clear Sight (SBCS) principle and is equipped with Miro Silver mirrors. As a result the highest efficiency (98%) of all available horticulture reflectors is achieved. This reflector has the same features as the Alpha Optics 98, but comes with an extra Nanotube made of Ultra Clear Glass with anti-reflection Nano coating. As a result of these techniques the highest light transmission of 99% is achieved. The overall efficiency of the reflector in combination with the Nano Tube is 97%. This is higher than any other horticultural reflector. 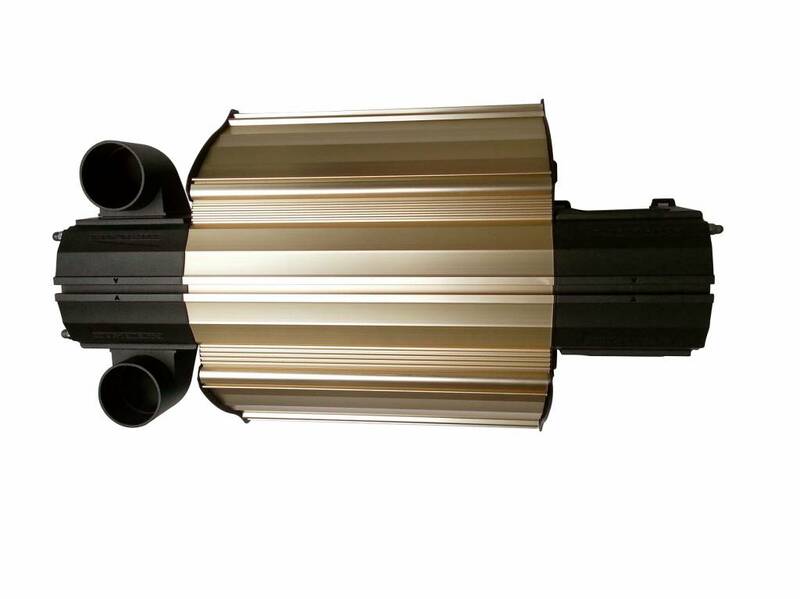 Because the air inlet and outlet are connected in parallel, rather than in series as in conventional air-cooled reflectors, each lamp will burn at the optimum temperature instead of too cold or too hot. Due to the closed cooling system the Nanotubes are ideal to substantially reduce room temperature when combined with CO2 systems.